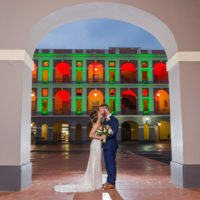 A couple of months ago, I received an e-mail from Eva inquiring about having engagement photos done while she and her new fiancée David were on vacation in Rincón, Puerto Rico. 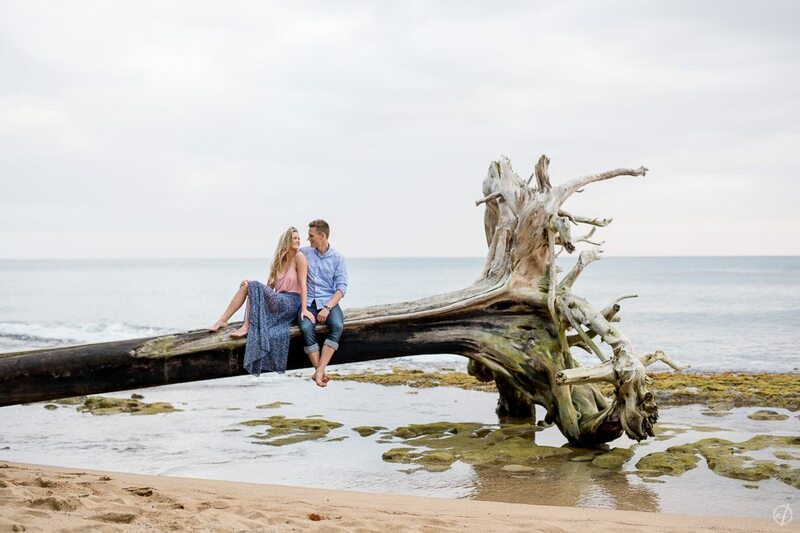 They wanted a beachy, laid-back feel for the session, and I think we nailed it! Located within a Natural Reserve on the west side of Puerto Rico, Steps Beach is probably one of my favorite beaches, for photos and snorkeling alike. So when Eva asked me for recommendations for beaches for photo sessions in Puerto Rico, I didn’t think twice! We met at the beach, and started shooting right away! With most couples, there’s an ice-breaker period before they feel and look comfortable in front of the camera. With E&D this happened instantly! They were so smiley and happy the whole time; it didn’t take much effort from any of us to come out with beautiful photos. After a while, they changed into different outfits and even brought beers so they could enjoy the sunset with one of their favorite activities as a couple. It was incredibly fun to capture one of your days in the Caribbean, and I haven’t stopped swooning over these pictures ever since I took them!